After a busy week of Thanksgiving crowds the week before, last week saw a return to a mix of low and moderate crowds across Walt Disney World Resort, as expected. Some parks, some times of the day still saw relatively high wait times but they were the exception, not the overall trend. Overall, last week was a good week to visit the resort. On December 5th, the crowd calendar was updated to reflect recent trends. On December 5th we updated the crowd calendar reflect the latest trends that we have measured around the resort. A few days too late for Animal Kingdom as it turned out. While at Epcot and Hollywood Studios we saw predictions that pretty much hit the mark, including 14 minutes at Living with the Land and 22 minutes at Spaceship Earth (predicted 22). Another slow day at Animal Kingdom on Monday with no attraction reaching an average posted time above 16 minutes. Meanwhile Magic Kingdom surprised us with wait times a few points higher than expected. Pirates of the Caribbean hit an average posted time of 42 minutes, a ’10’ out of ’10’ for that attraction. Very low crowds resort-wide on Tuesday, as predicted. In fact, the lowest we’ve seen since September. By contrast, Pirates averaged 15 minutes, while we saw averages of 3 minutes at Mission: Space (Green), 14 at Star Tours and 12 at Dinosaur. Another decent day for wait times on Wednesday with no park managing a crowd level above ‘5’. We saw an exact match at Toy Story Midway Mania where we predicted an average of 61 minutes. Extra Magic Hour morning at Magic Kingdom plus a Mickey’s Very Merry Christmas Party on Thursday brought low wait times at that park. Averages as low as 18 minutes at Jungle Cruise and 17 at Space Mountain were about as low as they get for those two attractions. 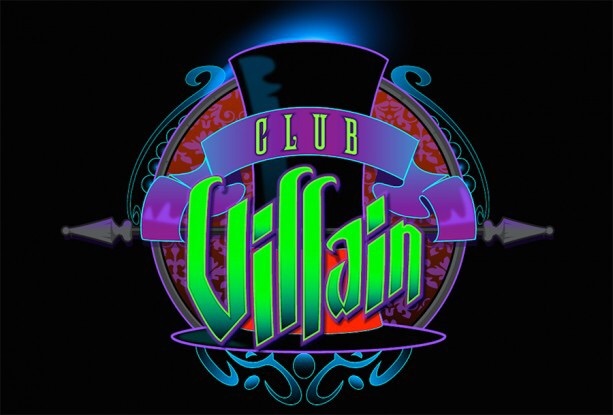 Another Party at Magic Kingdom on Friday and another day of low wait times. Friday brought a little bump in waits at Epcot and Hollywood Studios which had been been fairly quiet all week. Spaceship Earth averaged 23 minutes (predicted 19) while Rock ‘n’ Roller Coaster hit 53, 20 minutes higher than history would suggest. One key impetus for our crowd calendar update was the high waits we’ve observed at Magic Kingdom on Saturdays this fall. Wedged between Party evenings on Thursday, Friday and Sunday, Saturdays with Extra Magic Hour evenings have brought very high waits. Animal Kingdom reached a crowd level above ‘2’ for the first time all week. 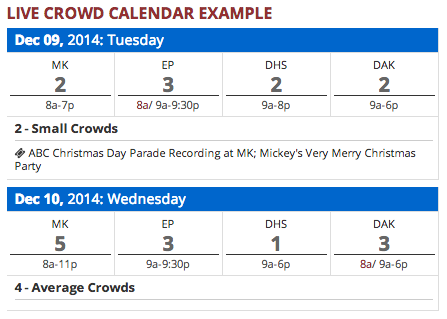 Watch out for the Christmas Day Parade taping at Magic Kingdom this week. Although wait times are low, Main Street will be quite congested. Wait times elsewhere around the resort will be moderate at worst but avoid Saturdays at Magic Kingdom if possible. 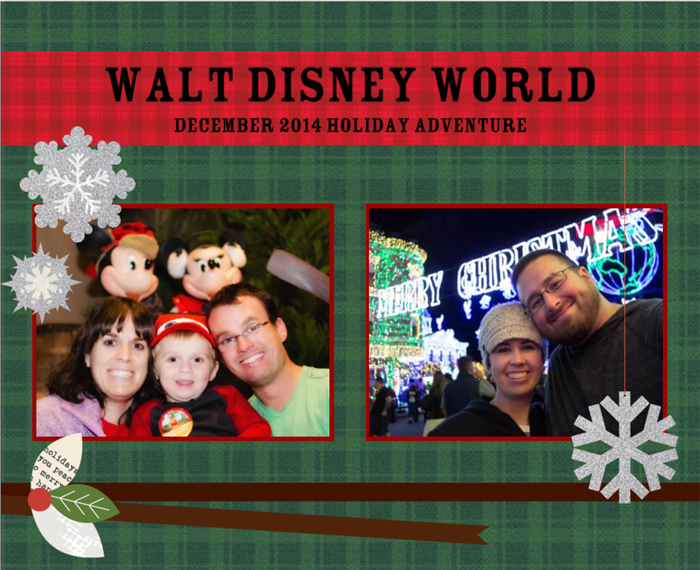 We were in WDW Dec 1 – 7. On Monday, we were in AK and were able walk right into (or onto) ITBAB, KS, FotLK, and EE (multiple rides in the case of EE) and did not have to use FP+ even once during our visit there. Toured EPCOT at night and only had to use FP+ for Soarin’; for all other rides, we simply used Stand-by. This was the rule for pretty much all week. The only real bottle-neck we found was the Tuesday night performance of Fantasmic at HS, but we still had great seats. Our youngest grandson (first timer) got to see the holiday decorations and experienced every ride that he wanted to. Great time for everyone. We were in Disney World last week. It was the most variable as far as wait times I’ve experienced. On Wednesday at the Studios, Rock n Roller Coaster was a walk on in the late afternoon. But Saturday at Magic Kingdom was very busy. One note – taping of the Christmas parade was Saturday. They may do more taping early this week, but Main Street was dedicated to taping from about 10 am until almost 4 pm on Dec. 6. We were at WDW 11/29-12/5. It was a great week to be there! We spent just a few hours at AK on 11/29. It seemed busy, but manageable since we had FPP for the three attractions that we wanted to do. Sunday 11/30 at MK was AWESOME! We did 12 attractions in 3 hours, using just one FP for 7DMT at 11 AM. Every ride was a 5 minute wait or less, and for the first two hours most were simply walk-ons. Monday at Epcot and Wednesday at HS were busy but very manageable and a stark contrast to the crowds we saw in late March. The “What We Saw” numbers in this blog post don’t agree with the ones posted in the Historical Crowd Calendar (at least for 12/4 – 12/6). Which numbers are correct?